If you have children and live in the UK, you’ll probably know that the cost of childcare can be eye-wateringly high. New figures confirm that, showing that families in the UK are spending almost three times the OECD average for childcare. That’s the highest cost in the Western world as a proportion of income. The OECD’s Society at a Glance 2016 report looks at the price of full-time childcare in OECD countries across the world. On average families spend around 13% of their income on childcare, but this varies dramatically. 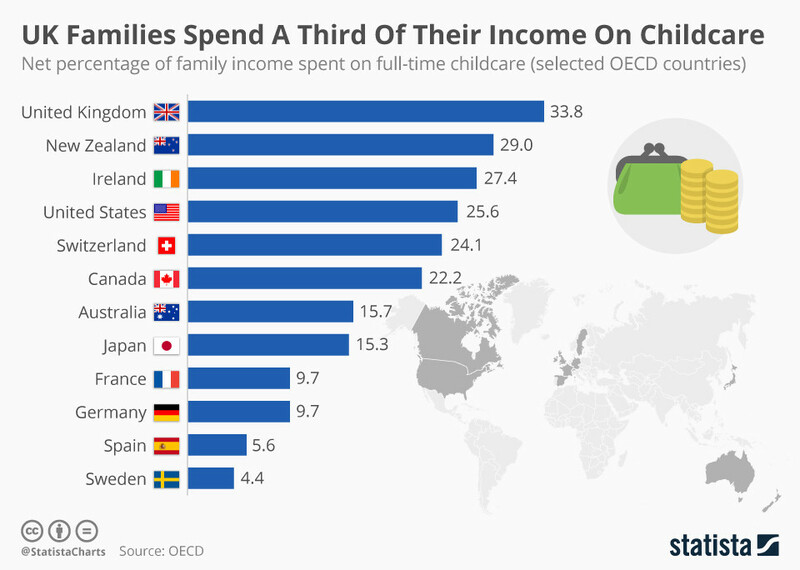 In the UK, for example, families spend over 30% of their income on childcare. The situation couldn’t be more different over in Korea, where families spend nothing on childcare because state benefits cover the cost. No other OECD country surveyed provided such comprehensive benefits. Couples in Austria, Greece, Hungary, Portugal and Sweden all spend less than 5% of their income on childcare. Women and work. The system is broken, so how can we fix it? New Zealand and Ireland come just behind the UK, spending 29% and 27.4% of their incomes respectively. In the United States, expensive childcare combined with low tax reductions mean parents shoulder some of the highest costs, at 25.6%. 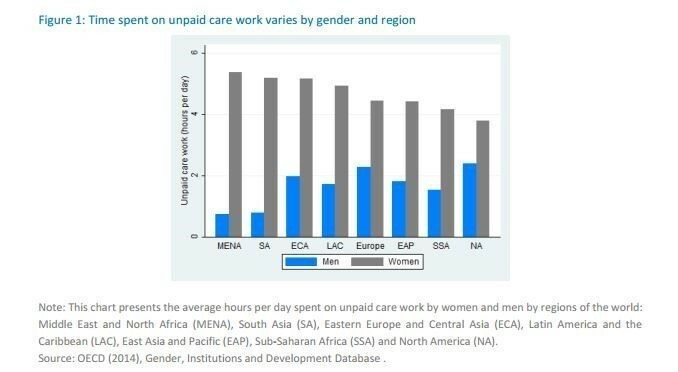 Studies have shown that women across the world are more likely than men to take on unpaid care roles within the family. To help families, and particularly women, to enter employment, the OECD recommends that childcare costs be kept to an affordable level and are made easy to access for all families.